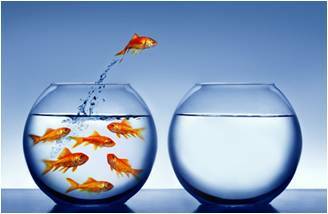 of Faith, or Not Knowing What’s in the Next Fishbowl where I talk about taking the leap into being a serious writer, and how that terrified me more than being strapped to a 10 megaton bomb (otherwise known as the Space Shuttle). 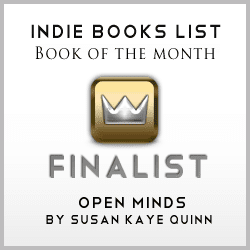 Open Minds was chosen as an Indie Books List Book of the Month for February! The review is well-written, witty, and I get the “Sheldon nod of approval” – it doesn’t get more awesome than that! Check it out. February is Indie Author Month at Lovely Lit Book Blog. Tomorrow (Leap Day! The 29th!) I’ll be the featured Indie Book of the Day at Lovely Lit. The Pixel of Ink ad was a spectacular success yesterday (POI is my new best friend), squeaking Open Minds into the Top 100 of all books on Amazon for a brief time. All the details here. « How Do You Price an E-Book? I love that picture. Just had to say that. I'm going to go visit now. I really like that image and amazing evaluation, and it's so true! thanks for sharing this to us.